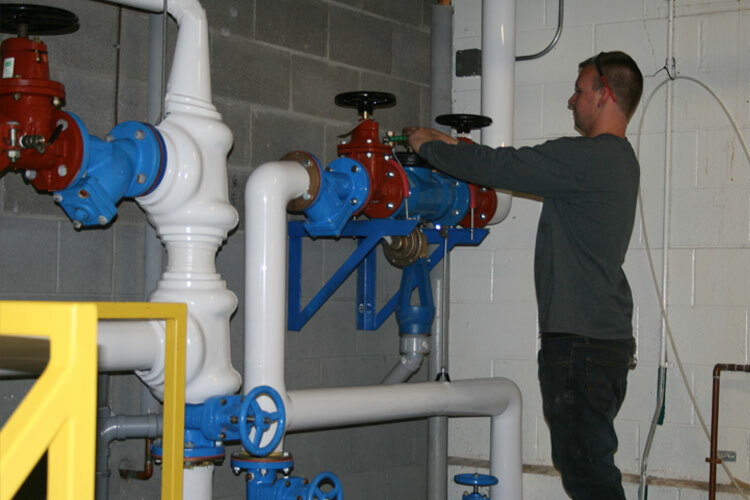 BACKFLOW PREVENTION – Glenn Richardson Plumbing & Heating Ltd.
Glenn Richardson Plumbing has carried Backflow Prevention certification since the program was first introduced in the various regions of the Great Toronto Horseshoe and Niagara area. Our experience ranges from smaller devices for office spaces to large devices for manufacturing facilities. With the majority of our journeyman certified we are able to promptly respond to any Backflow Prevention related service calls. By taking care of submitting all necessary paperwork and fees on your behalf and maintaining full records your experience with the program will be as smooth as possible. The Backflow Prevention process starts with a Backflow Prevention Survey. A survey of the facility is done to determine the number of devices and the size of devices required. Information such as the number of water meters, the equipment being used and the type of working being done on site is all taken into account for the survey. Following the initial Backflow Prevention survey a resurvey of the property is requested by the region every five years. A resurvey also needs to be completed when there is a change of use to the facility. A change of use is when the occupant of the location changes. The Backflow Preventer Installation is completed once the region has classified the facility. By classifying the facility it confirms the type of device or devices required. The installation time for a Backflow Preventer varies based on the size of the device and possible piping changes. Once a Backflow Preventer is installed the device requires annual testing to ensure the device is working properly and clear of debris. If a Backflow Preventer doesn’t past the annual test a repair will be required to make the device passable. A Backflow Preventer replacement can be required if a device becomes unrepairable due to age or damage to the device itself. Assuming none of the piping has been damaged as well a replacement can be done in much less time than the install. To install a backflow preventer there needs to be a working water meter valve. 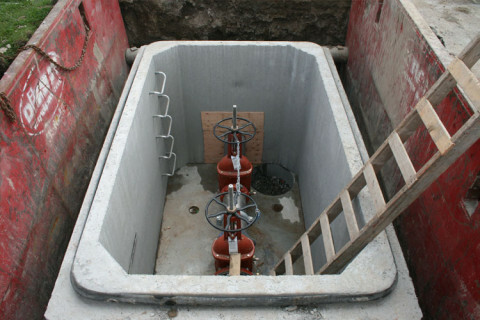 If there isn’t then a replacement of the water meter valve needs to be done along with the installation. The water meter valve is required to shut the water off to a building. In the event the water meter valve isn’t working and the water needs to be shut off then this needs to be done at the curb stop which is a more involved and costly option. Glenn Richardson Plumbing & Heating Ltd Is Certified To Test In….